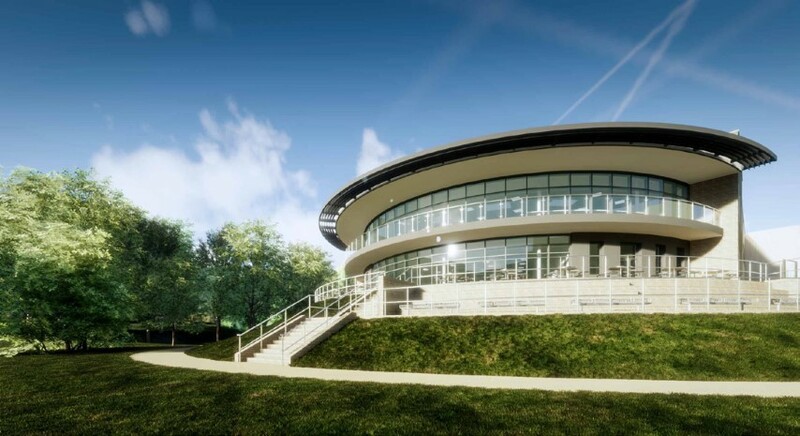 Gloucestershire College are relocating their existing Forest of Dean College to provide an exemplar new highly sustainable Post-16 facility. This new 7,200m2 facility is also to be a catalyst for the Cinderford Northern Quarter development. 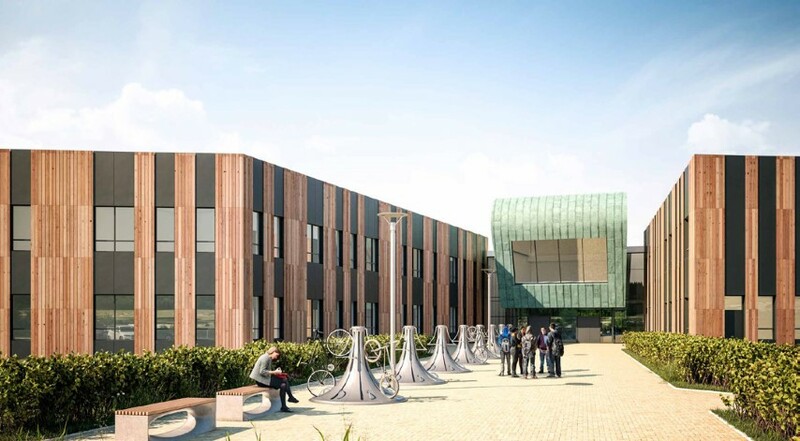 The design consists of three distinct but complementary elements which include a vocational training college, a sixth form centre and a central hub providing dining, social and teaching functions for the college and the wider community. All the facilities have been designed to be flexible, future proof and can be shared by students and community where possible. Alongside A-Levels in the joint sixth form, vocational curriculum areas on offer at the new campus will include art, beauty and holistic therapies, business, catering, computing, construction and building services, hairdressing, health, care and early years, fashion, foundation studies, media, motor vehicle, music, outdoor adventure, photography and teacher training. The building design seeks to utilise the existing lake for passive heating and cooling methods, is orientated to provide high levels of natural light and uses the existing site contours to minimise the impact of the facility on the landscape, incorporating brown and green roofs to provide habitats for wildlife along with grey water and rainwater harvesting.